The White Knight arrives to do battle with the evil heat monsters that live within your laptop! Light steel structure makes EVERCOOL WHITE KNIGHT stable and durable. And the retractable metal frame makes it easy to expand, and USB arrangement design in the base is convenient for users to store the USB power code. Design inspired by classical baroque knights. 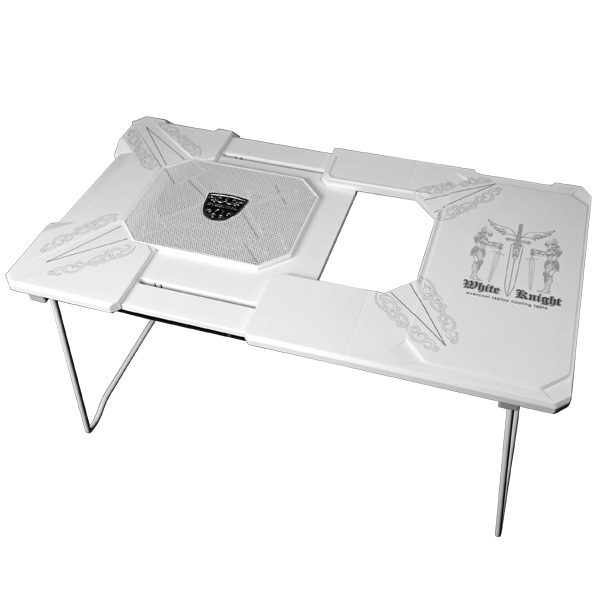 Two functions: cooling pad and cooling table for different using environments. It supports different laptop sizes,and has one particular space for mouse use. The retractable metal frame makes it convenient and easy to expand. Light steel structure for stable use. USB power cord is easy to store.